I sentence you...to watch this! Ghastly Prince Enma is just hands down weird. But what can you expect when you look at where it came from, Go Nagai The show itself is great if you just want something zany and crazy to watch, though the writing is actually really funny to boot. Many of the jokes are for an older crowd that'll make you chuckle if you are in the age bracket of the 30s and 40s or older. There is fan service and many sexual jokes but it is really hilarious, but if that is not your cup of tea, you may want to pass. 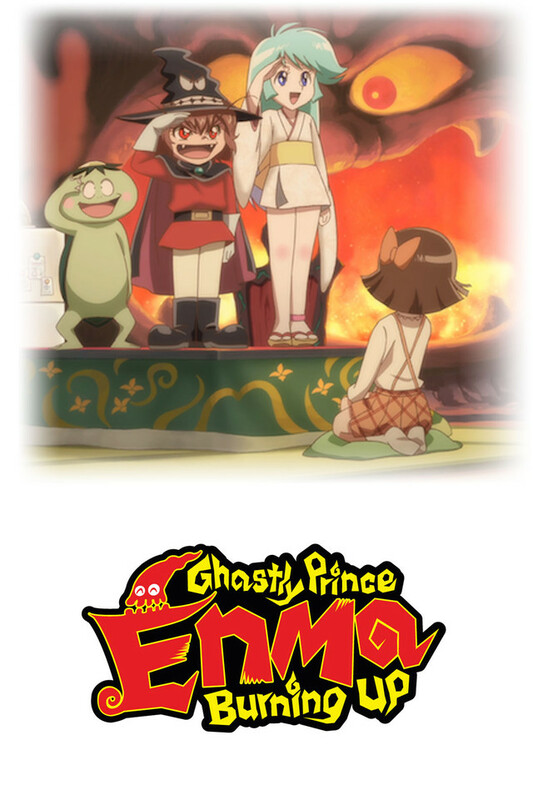 But honestly, Prince Enma is a very funny and whacky show to unwind with. O.K. enough of that! If your looking for a different kind of series this is it everything in my review line and then some the movie, music, and other series reference's come fast so you have to try and keep up I've laughed out loud and chuckled alot. This is the kind of Anime that's made me a fan for many years no holds barred don't care what others think just make what you want and put it out there. I wish there was more coming from this series and can only hope that their is. WARNING: their is a lot of teaser fan service and sexual reference's which doesn't bother me but may bother the more sensitive or immature Anime fan's out there if that doesn't bother you I highly recommend this series I'm watching this for the second time. Enjoy! Story is strange but has a lot of comic relief. Main character reminds me of Demon Prince Laharl from Disgaea in many ways. Definitely should watch this one if you like that style of anime and don't mind a little fan service here and there.